The Bodalla village is a delightful place with links to the Thomas Mort history of the region, and the dairy industry of the South Coast. These guidelines are intended to conserve the special qualities of the place. 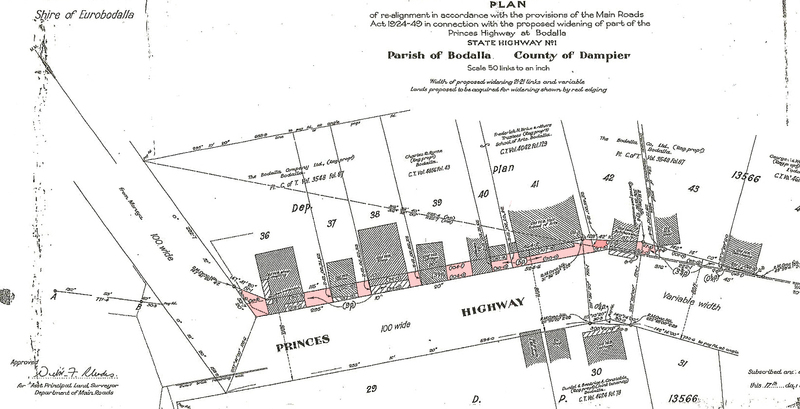 The plan at left is a 1952 RTA plan of the Highway.